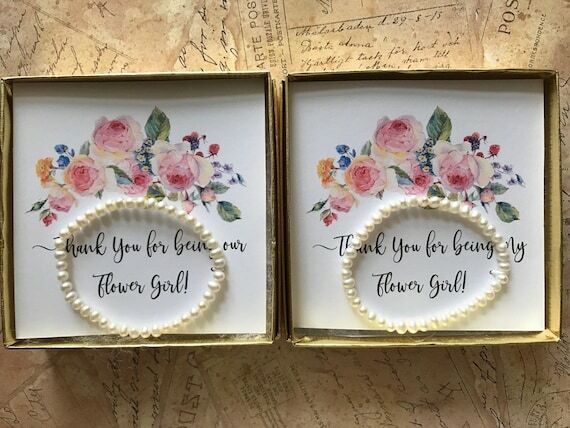 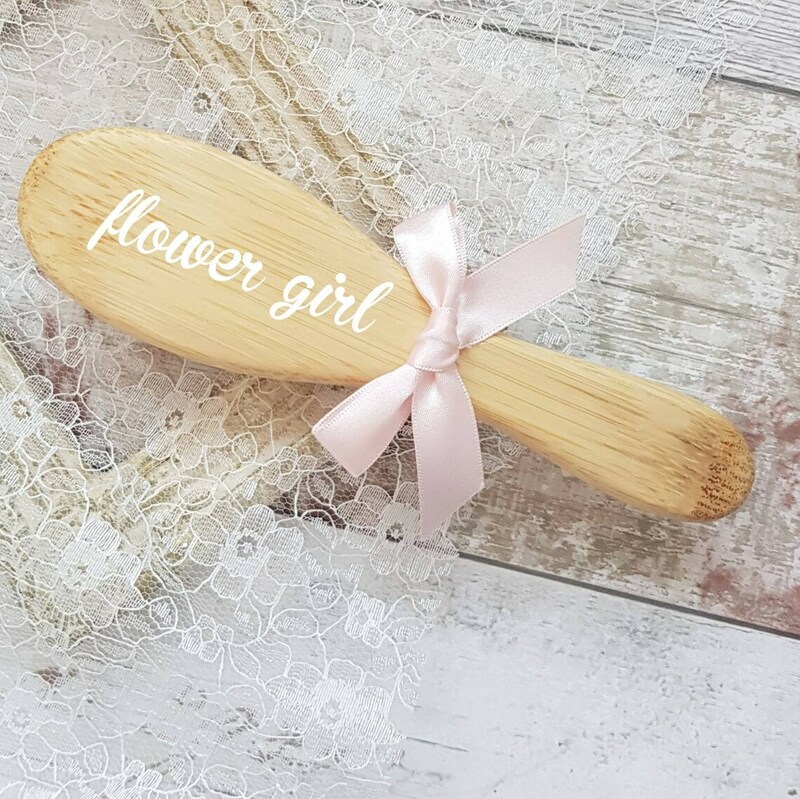 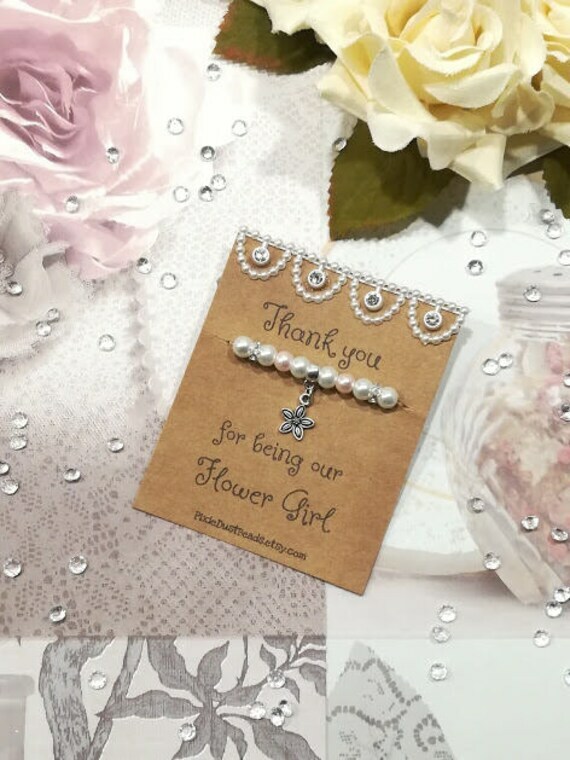 From gifts to say a big thank you for being your flower girl to gifts to give when asking if they would like to be your flower girl, we think these products below are ideal for giving as a gift to that special girl. 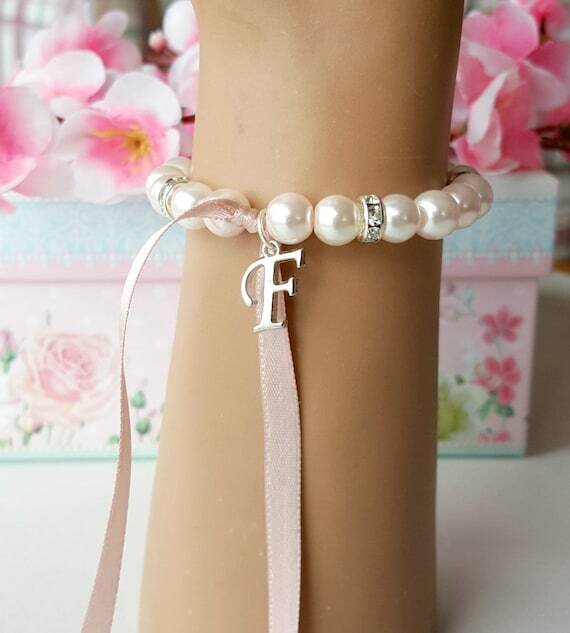 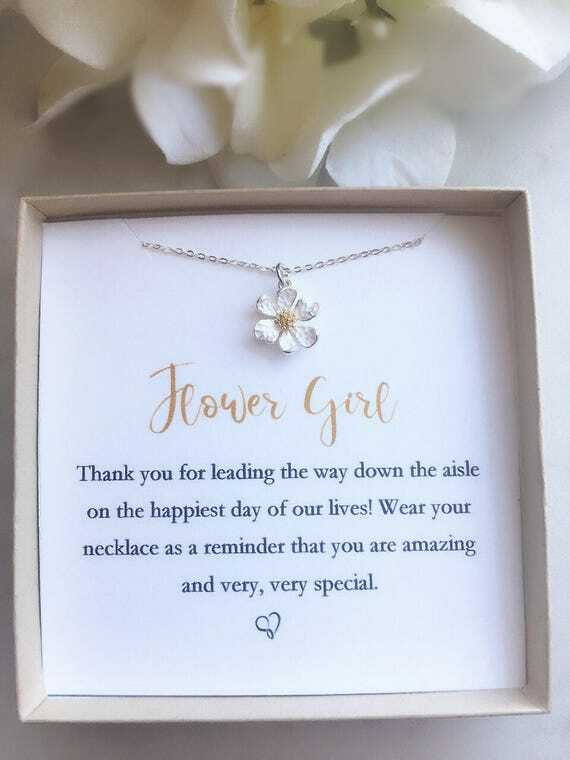 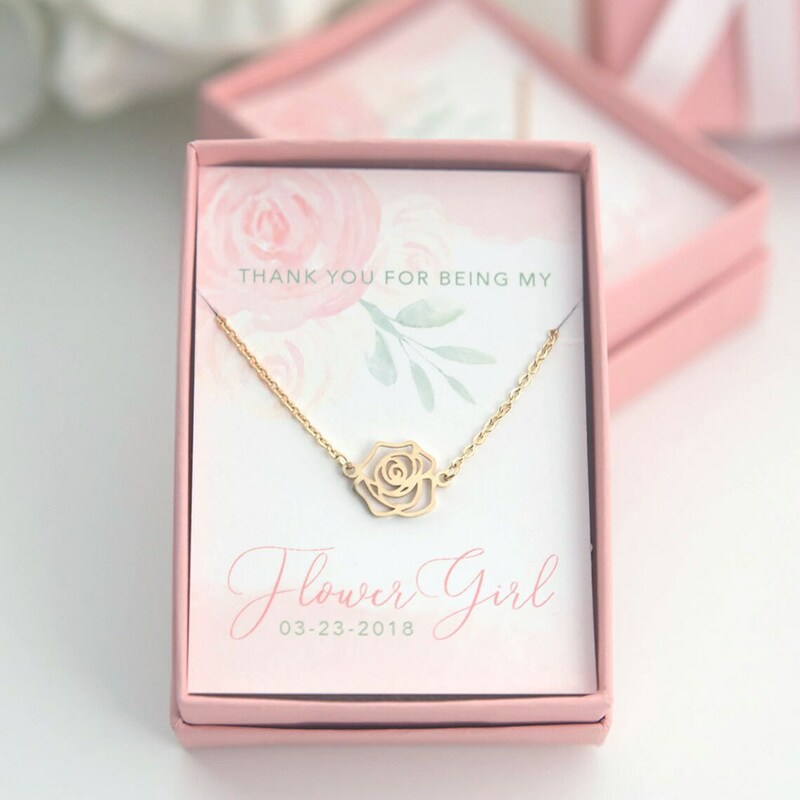 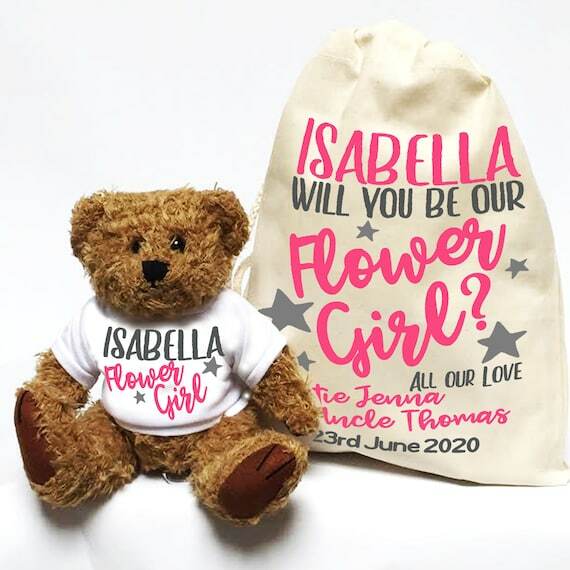 We’ve included on Your Ideal Gifts a collection of flower girl gifts featuring beautiful, customisable jewellery to personalised teddy bears that you can add your flower girls name to. 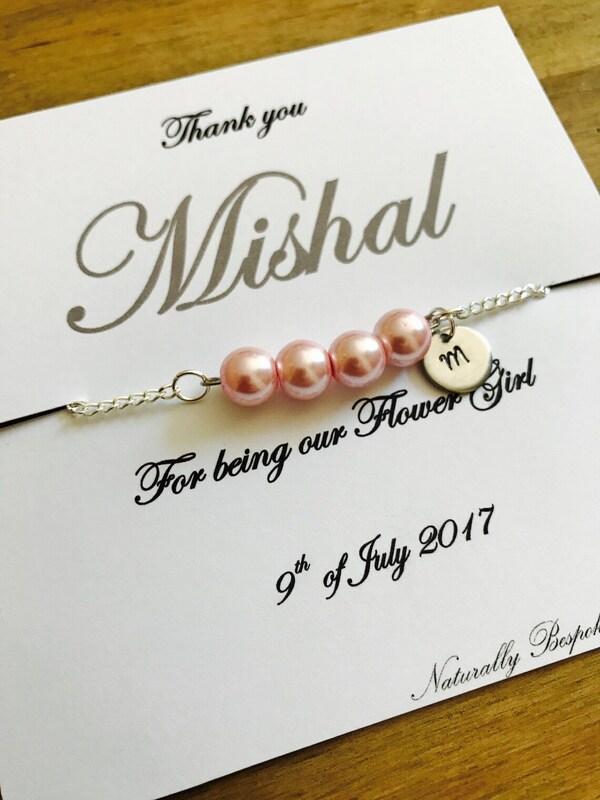 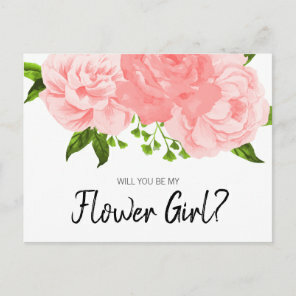 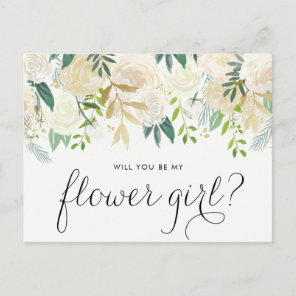 We’ve also featured on our website a range of personalised flower girl invitations that you can simply customise to include your own text over on Zazzle. 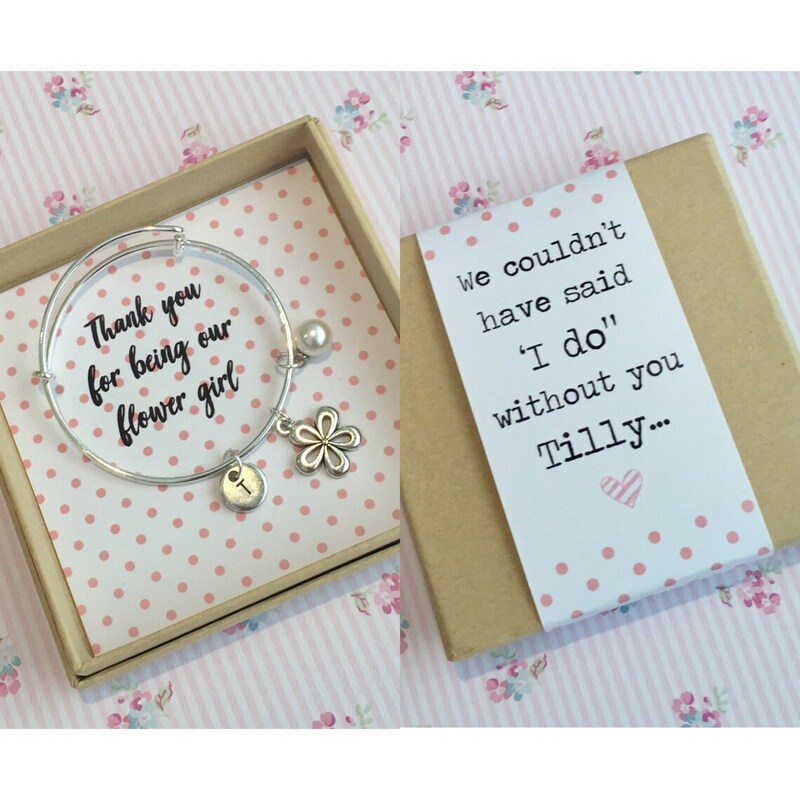 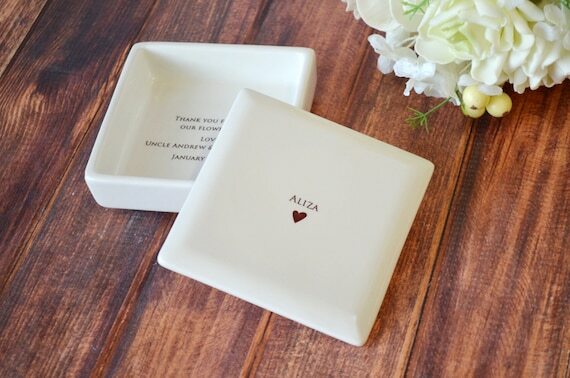 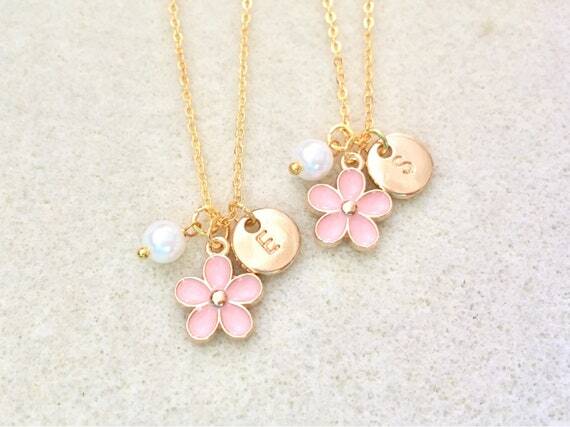 We’ve included personalised flower girl gifts that you can add her name to. 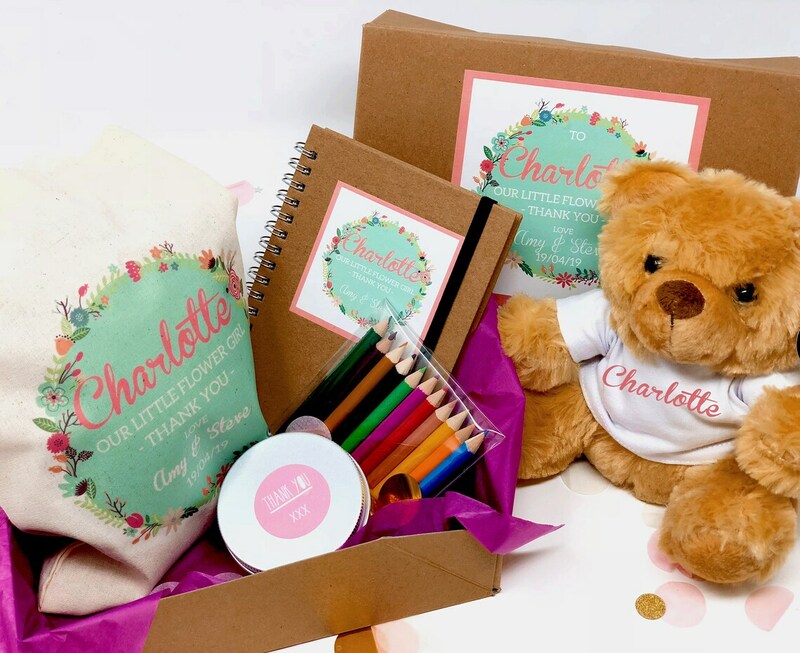 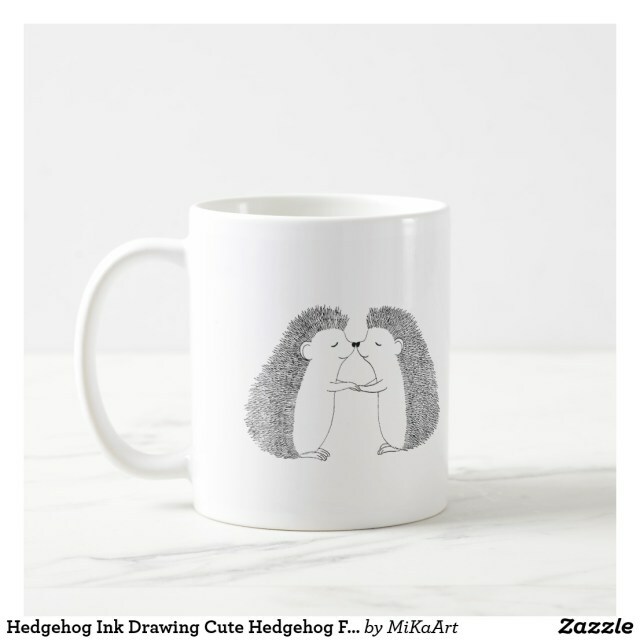 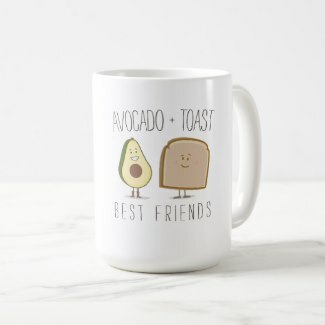 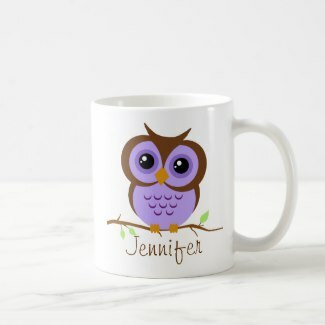 From cute, personalised teddy bears to beautiful gift sets. 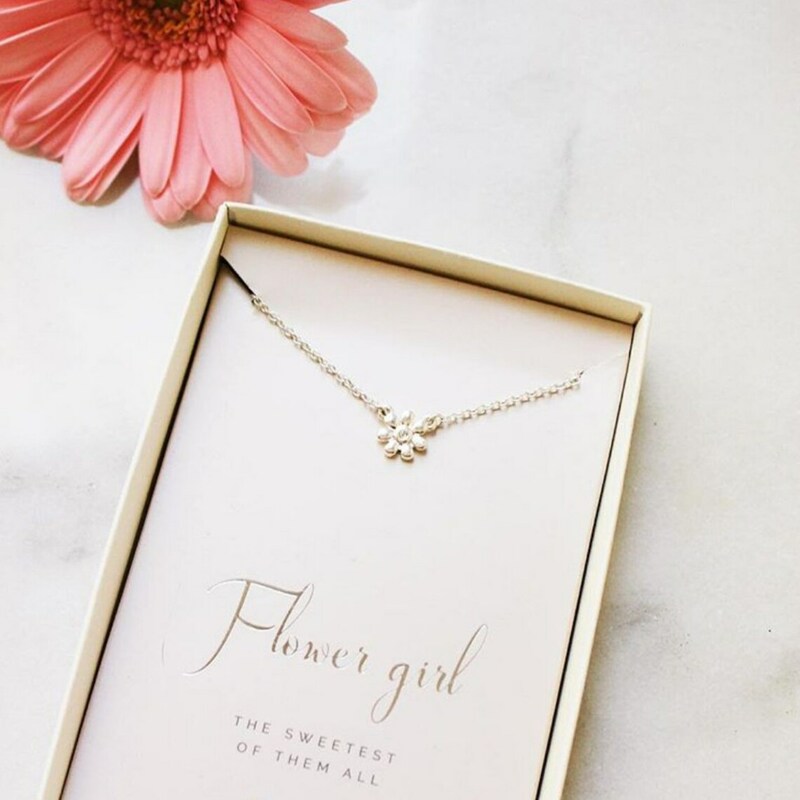 These gifts are perfect for giving to any flower girl. 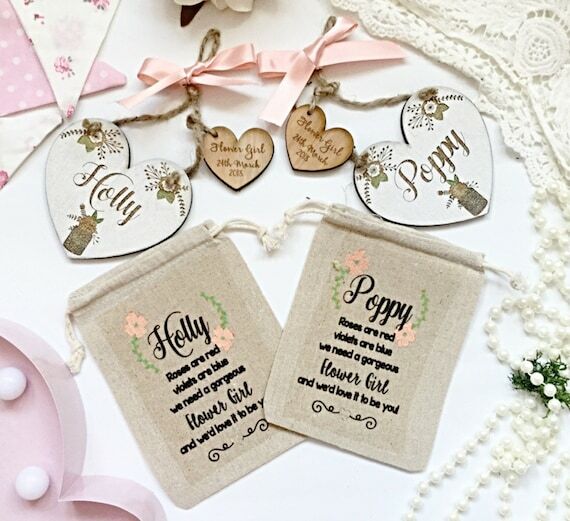 Take a look at more flower girl invitations that you can also personalise with your own text.